Aquaculture is the farming of aquatic organisms, principally fish, molluscs, crustaceans and marine algae. It has seen phenomenal worldwide growth in the past fifty years and many people view it as the best solution for the provision of high quality protein to feed the world's growing population, particularly with the rapid decline in wild marine fish populations. Aquaculture now contributes approximately one third of the world's fish production, and has increased by about eight per cent annually over the last thirty years, while wild capture fishery production has remained static. 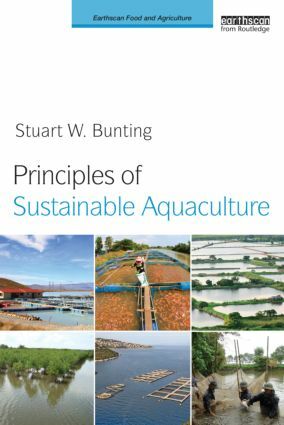 Focused on developing more sustainable aquaculture practices, this book provides an ideal advanced-level textbook. It is based on extensive evidence and knowledge of best practices, with guidance on appropriate adaptation and uptake in a variety of environmental, geographic, socio-economic and political settings. The author concentrates on low-impact aquaculture systems and approaches, which have minimal adverse effects on the environment. He also emphasizes socially responsible and equitable aquaculture development; to enhance the natural resource base and livelihoods. Drawing on a range of case-studies from around the world, the objective is to show where progress in terms of developing ecologically sound and socially responsible forms of aquaculture has been made. A tool-box of approaches to support widespread adoption and appropriate adaptation of regenerating aquaculture strategies is provided, ensuring the book will have practical relevance for both students and professionals.